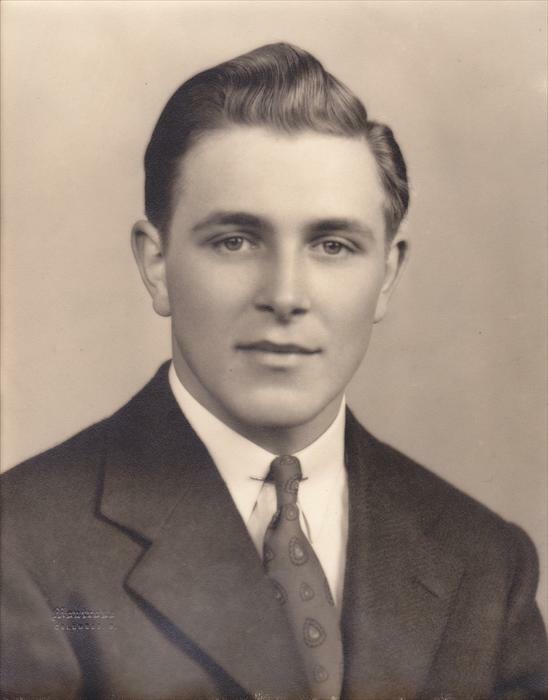 11/6/1924 Eugene Herman Weber (known to his friends and family as Gene) was born on November 6th, 1924. He grew up in Hilliard, Ohio, and while he has in high school, he tried to enlist into military, but he could not find anyone to sign for him since he was underage. After high school was over, Gene got drafted. They gave him a choice to pick which military branch he would be serving under and he decided that he wanted to be a marine since he liked their dress blues and they were very well known and respected (plus he liked the marine core hymn). 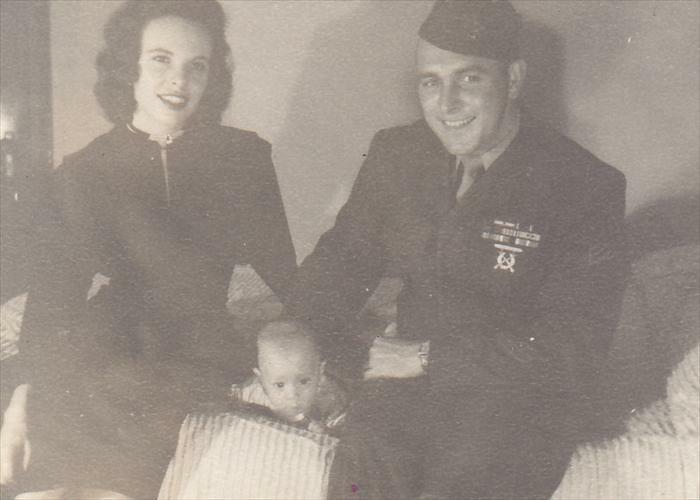 3/25/1943 Once Gene was enlisted and all set up to go to basic training he was sent to Paris Isle, South Carolina. This is where he learned everything there is to know about being a marine for life. Gene participated actively in WWII and the Korean War for five years total. Two of these years were spent in foreign countries. Totally he spent seven years in the marine core. While with the marines Gene spent time living in many different places ranging from: Cherry Point, California, Hawaii, Guam, Johnson, Islands, Ulithi, Okinowa, Yantan, Shimun, the Philippines, Japan, Youkoski, Tokyo, South Carolina, and North Carolina. 1/2/1944 He was made Corporal in WWII and Platoon Sgt. in Korea. His jobs varied through the wars from a Clerk (who did all of the paperwork to be sent back home) and an Aircraft Loader (who armed the planes and kept up their maintenance). Gene received many honors while he was a Marine. He got ten medals, some of which were received for various reasons. Some of these medals are: a Good Conduct Medal, a Japanese Citation Medal, a Victory Medal, and others. The core was not always so serious; the men played Pinochle and Softball to entertain themselves. Also, they were brought entertainment. While in service, he saw Bing Crosby, Bob Hope and Frank Sinatra. In addition, the core brought others in, but Gene and his fellow marines were not always aware that these entertainers were on base. 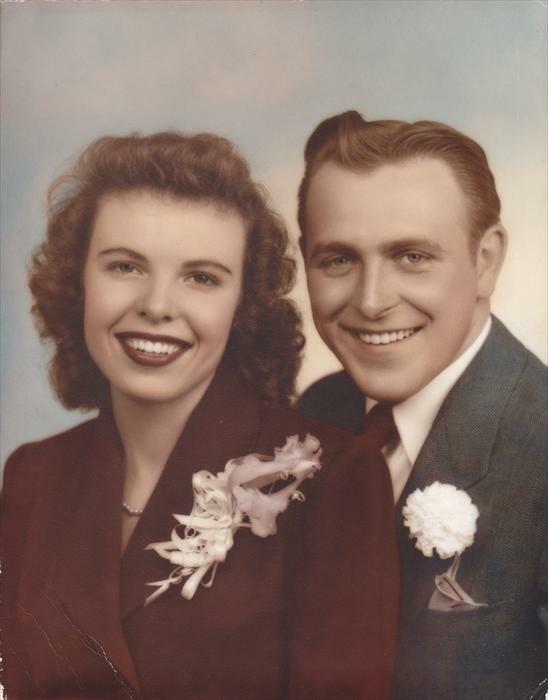 11/15/1953 Gene married his wife Patricia and they had their first child, a son, named Phillip. While Gene was away, Patricia and Phil did not move with him, except to California once. After Gene was discharged he and his wife and son moved back to Hilliard, his home town, and began their family. They went on to have four more kids, another son and three daughters, two of which were identical twins. They moved various places after Gene became a real-estate agent, and now Gene resides in Westerville, Ohio near his youngest daughter.